Barack Obama is taking new action on pay inequality by launching a proposal to collect and report data from every American business with more than 100 employees so that gender and racial pay gaps among 63 million workers can be addressed. Establishing equality is the job of every CEO. This is the issue of our time and companies like mine are the greatest platform for change. This is really about that data. Data analytics has revolutionized America. Data is indeed power and there is so much power to be harnessed. Perez said the issue, which sees American women paid around 79 percent of what men are paid, is as profound on Wall Street as it is in Silicon Valley. 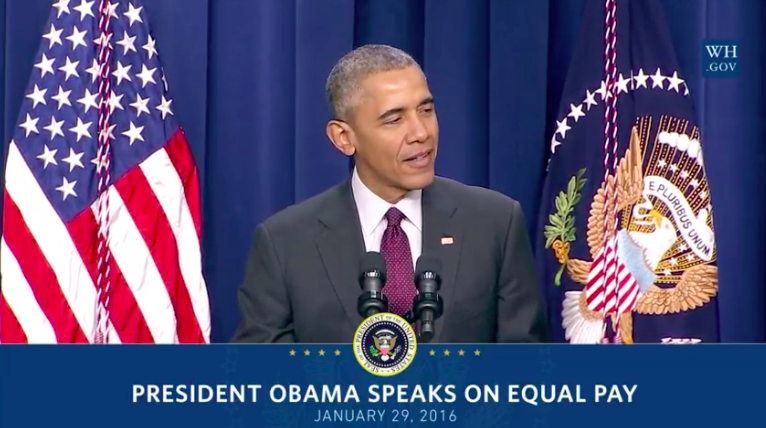 The equal pay event today marked the seventh anniversary of the signing of Barack Obama’s first bill, the Lily Ledbetter Fair Pay Act, that enables women in the US to challenge unequal pay checks. Since coming into office Obama has deployed an Equal Pay Taskforce to continue to work on these issues and equal pay legislation has been passed in more than 30 states.